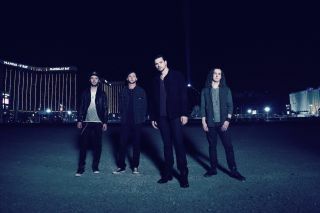 Adelitas Way Post New Lyric/Chord Video for "Alive"
Here's a brand-new lyrics-and-chords video for "Alive," a track off Home School Valedictorian, the most recent release by Adelitas Way. It's Keith Wallen from Adelitas Way. I just want to start off by saying it's an honor to be featured on GuitarWorld.com!